There are only two current NFL head coaches (Pete Carroll of the Seahawks and Bill O’Brien of the Texans) that joined their teams after being the head coach of a college football program. Joining the NFL directly from college is still considered to be a big for a coach to make. Critics point to Nick Saban’s tenure with the Miami Dolphins as an example of even the best college coaches not being able to succeed in the NFL. Some of this doubt is attributable to whether college offensive or defensive schemes can work in the NFL. The pro game is changing, however, and there are more college football attributes that are seeping into the NFL. For example, teams are utilizing Run Pass Option (RPOs) more frequently. New Chicago Bears head coach Matt Nagy was at the forefront of that use of college concepts in 2017 as the offensive coordinator of the Kansas City Chiefs. The transformation of the Chiefs offense into something that was more commonly found in the college game was something that former NFL GM Mike Lombardi coined the “College West Coast” offense. • No NFL experience: Helfrich has never coached in the NFL. He’s never coached with Nagy. This makes this working arrangement unique. While they have never worked together, Nagy and Helfrich do share the same agent in former Bears defensive lineman, Trace Armstrong. • Few college head coaches as NFL offensive coordinators: Most NFL offensive coordinators do not come directly from college football. Helfrich was head coach at the University of Oregon from 2013-16 (he worked for Fox Sports last season). 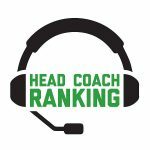 There are only three other former college head coaches currently serving as offensive coordinators in the NFL and only two of those came directly from college. Steve Sarkisian of the Atlanta Falcons begins his second season as offensive coordinator after having been the offensive coordinator at Alabama in 2016. Todd Monken of the Tampa Bay Buccaneers left a head coaching position at Southern Mississippi to call plays for the Bucs. Mike Shula, a former head coach at Alabama over a decade ago is the offensive coordinator with the New York Giants. • Perception of college experience: Helfrich, an Oregon native, was dismissed after the 2016 season, when the Ducks failed to reach the postseason with a 4-8 record and a sixth-place Pac-12 finish. Still, Helfrich’s four-year record as Oregon Head coach was 37-16 (.698) overall and 24-12 (.667) in conference. The perception was that the Ducks underachieved during Helfrich’s time as head coach in Eugene. Yet, Helfrich, at Oregon since 2009, helped lead the Ducks to four straight BCS bowl games and three consecutive Pac-12 titles. • Nagy is still calling plays: Like Pat Shurmur with the Giants and Frank Reich with the Colts, Nagy will be a head coach that calls plays. Helfrich is accustomed to having a head coach call plays as Chip Kelly called plays at Oregon from 2009-2012 as head coach while Helfrich was the offensive coordinator. We aren’t aware of whether Nagy intends to cede control of play-calling duties at any point in the future. For now, Helfrich will give input and suggestions when needed and run offensive meetings as well as coach the quarterbacks. • Improved roster: The Bears offense should be one of the most improved in 2018. The Bears head into camp with with second-year quarterback Mitchell Trubisky established as the starter. The 2017 first-round pick is just one example of the significant resources spent on upgrading the offensive talent via the draft. In 2018, the Bears used both of their second-round selections on offensive players. The Bears also spent money to sign players in free agency during the offseason. They signed former Jaguars and Falcons wide receivers Allen Robinson and Taylor Gabriel, respectively, as well as Eagles tight end Trey Burton. The Bears had the fewest passing attempts in 2017. This will not be the case in 2018. In the backfield, both power running back Jordan Howard and the versatile and dynamic second-year player Tarik Cohen return. The pieces are there for the West Coast College offense to flourish under Nagy and Helfrich. 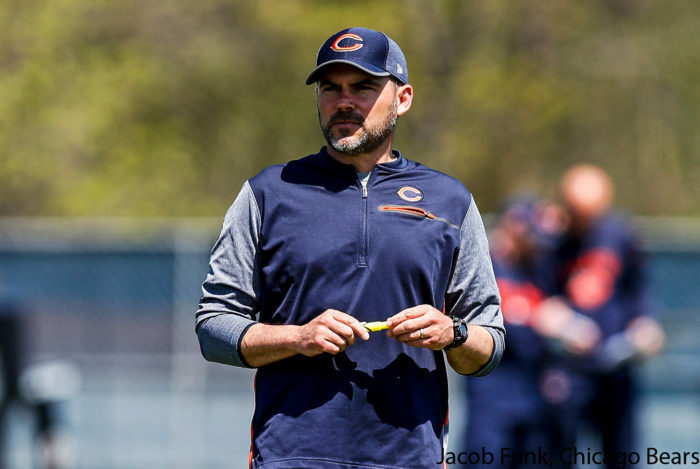 What will Helfrich bring to the Bears’ offense? This obviously remains to be seen. However, I would anticipate that many of Oregon’s running game concepts will be utilized in Chicago. Oregon was consistently one of the top rushing teams in the country when Helfrich was there. Also during the same era, Oregon had the reputation of going “fast,” the term used in the college game for going no huddle, receiving play calls from the sideline and snapping the ball quickly so as to prevent the defense from getting set. I would expect there to be some elements of that type of fast pace in the Bears offense in 2018. The Bears traditionally have not had an explosive offense. During the last 25 years, the Bears offense has only finished in the Top 10 of offensive points scored only thrice (1995, 2006, 2013). The West Coast College offense under Nagy and Helfrich seeks to change that and help the Bears reach their first postseason in nearly a decade.